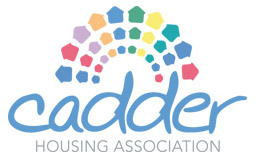 Positive Action in Housing Ltd is a Scottish wide charity working with communities, housing providers, voluntary organisations and faith groups to enable everyone to have an equal chance to live in good quality, affordable and safe homes, free from discrimination and the fear of racial harassment and violence. We offer advice, information and support to people from new migrant, refugee and minority ethnic communities. We run a free, confidential and impartial casework service for those facing poverty, homelessness, racism or poor housing. We run a Hardship Fund and provide emergency shelter and practical resources for destitute asylum seekers and their families. We provide volunteering and sessional work opportunities. We support human rights and anti-racist campaigns. We inform social policy from a user-led perspective. We offer training, consultancy and best practice guidance to Registered Social Landlords, voluntary organisations and minority ethnic/refugee organisations. Positive Action in Housing is independent of any political group, religious creed, ideology or economic faction. Emergency hotline, 24/7 365 days per year: If you, or someone you know, requires to contact Positive Action in Housing in an emergency please email home@paih.org or call/text us on 07581 046 473 with your name, a message and telephone number. This number is accessed at all times, so please leave a detailed text or voicemail, and someone will get back to you.